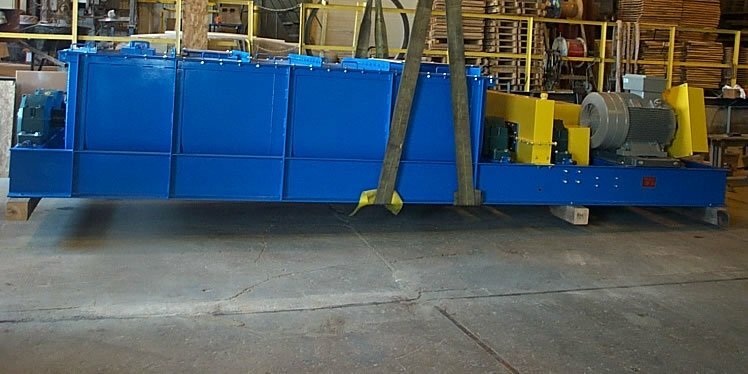 We offer many options to address your material handling challenges, all while reducing spillage and material degradation. 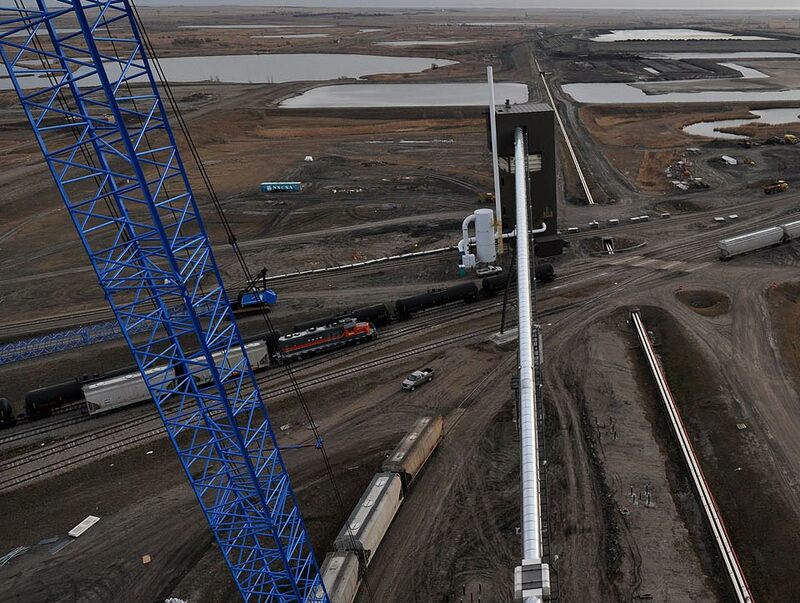 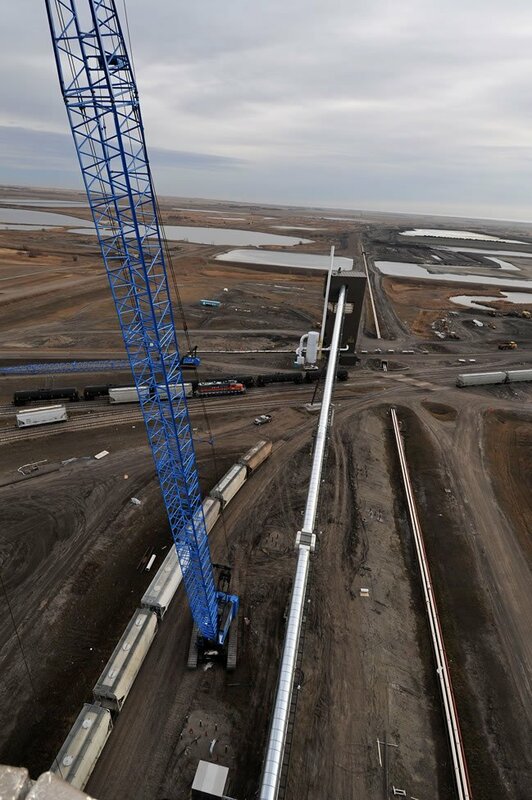 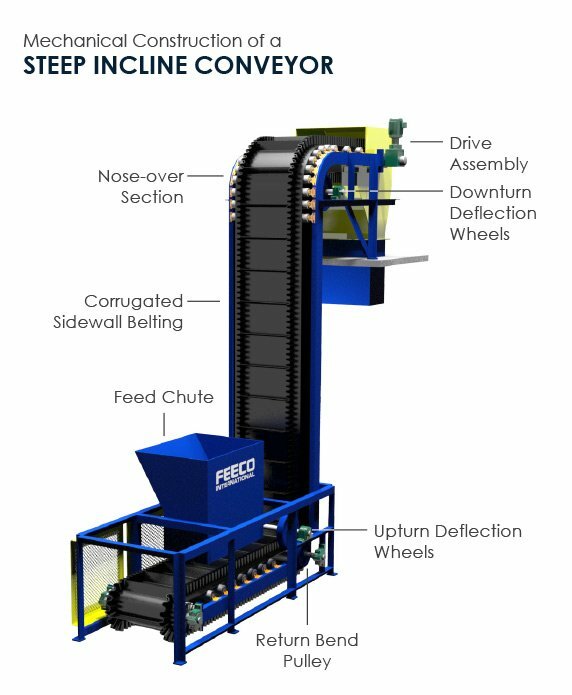 Steep incline conveyors are a great substitute for drag chain or conveyor/bucket elevator configurations, because of the reduced noise and the elimination of transfer points. 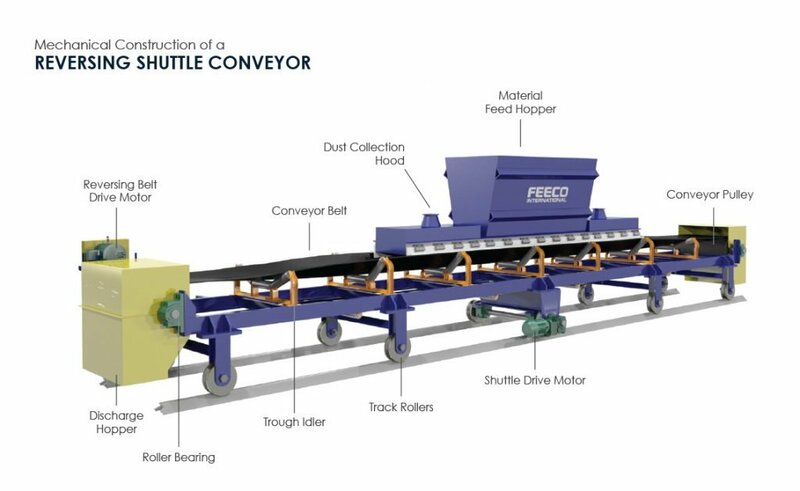 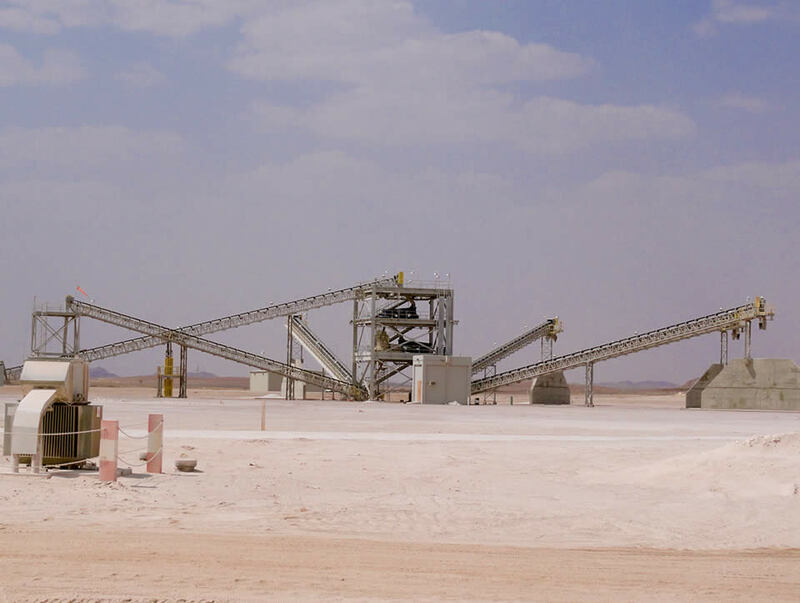 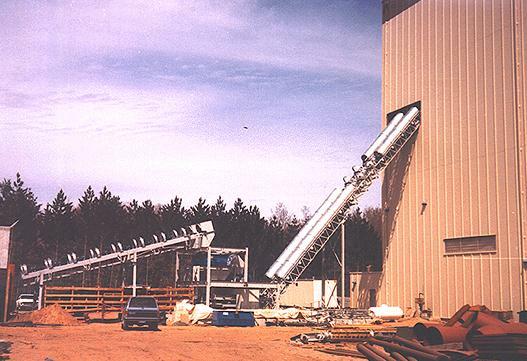 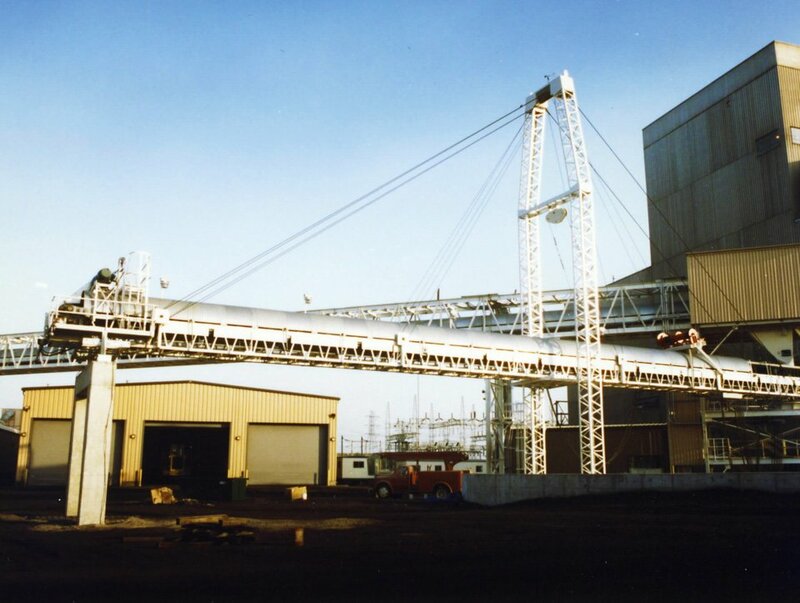 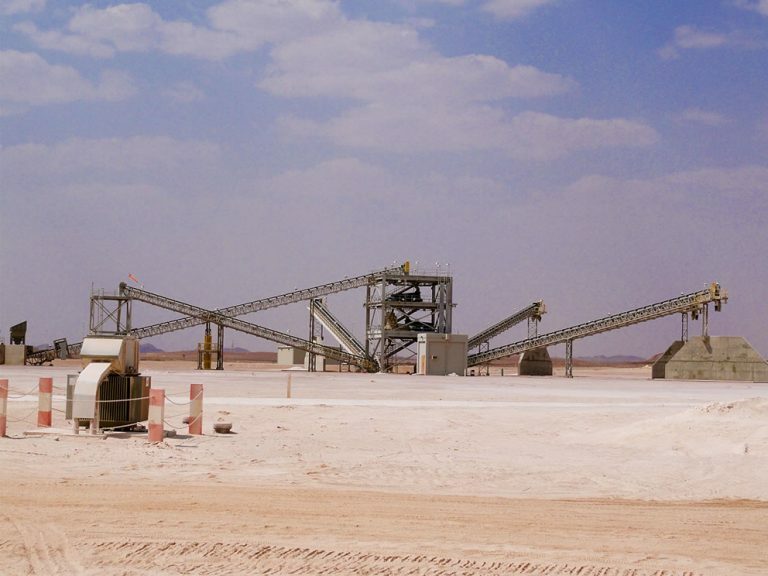 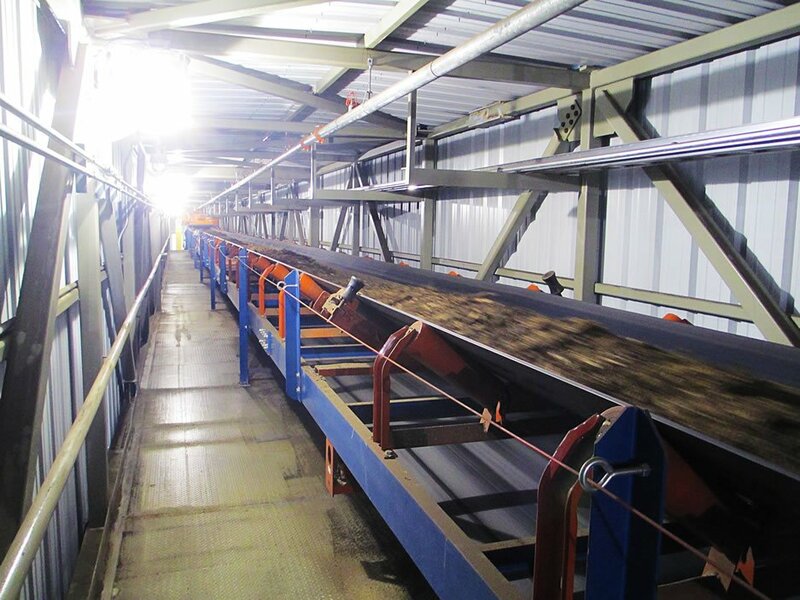 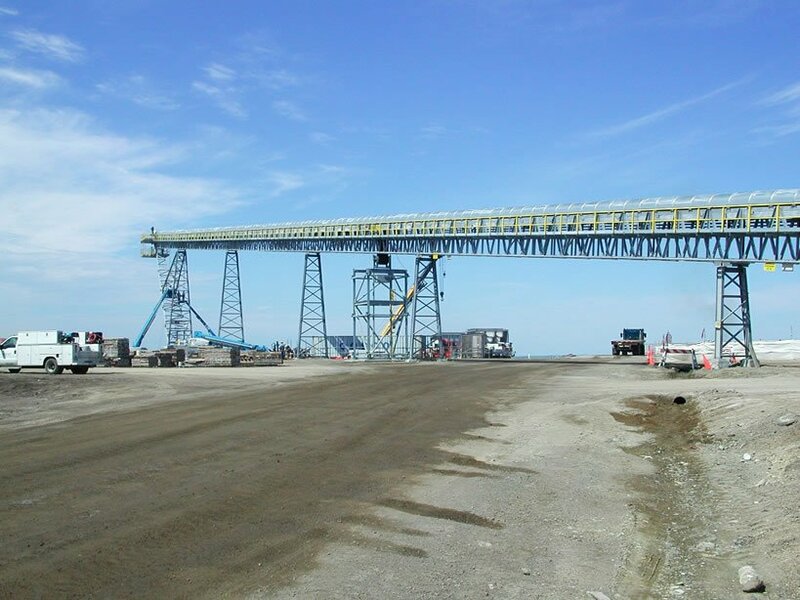 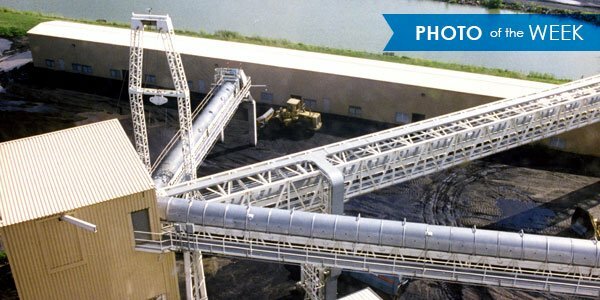 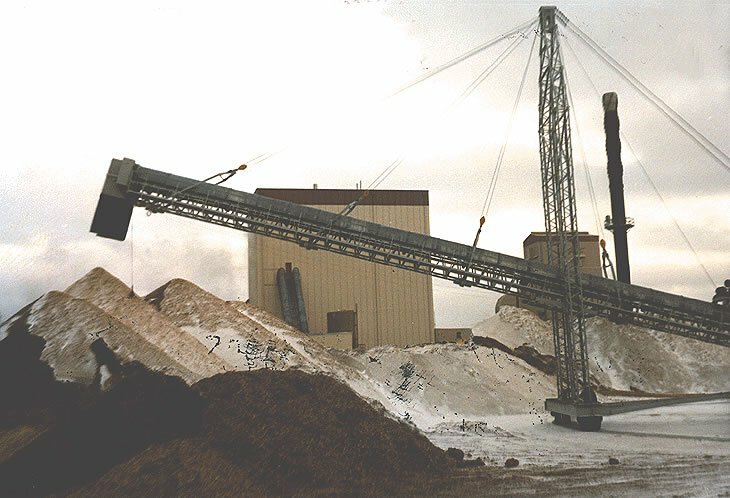 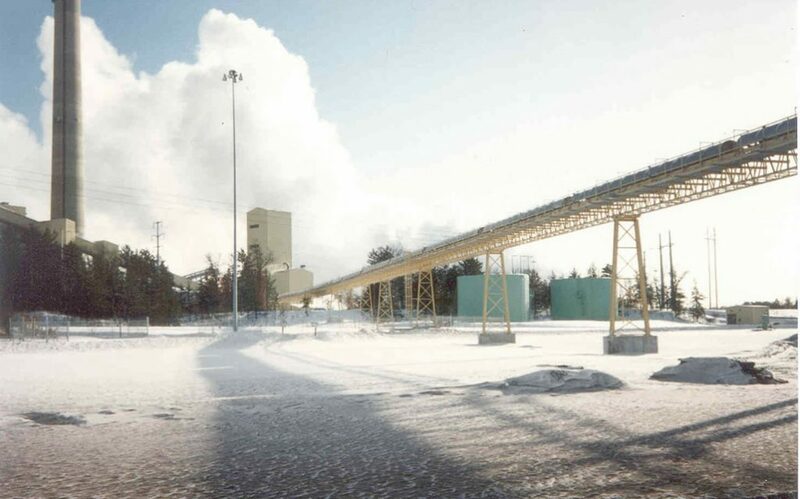 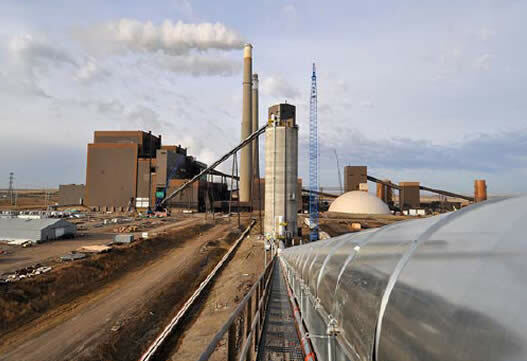 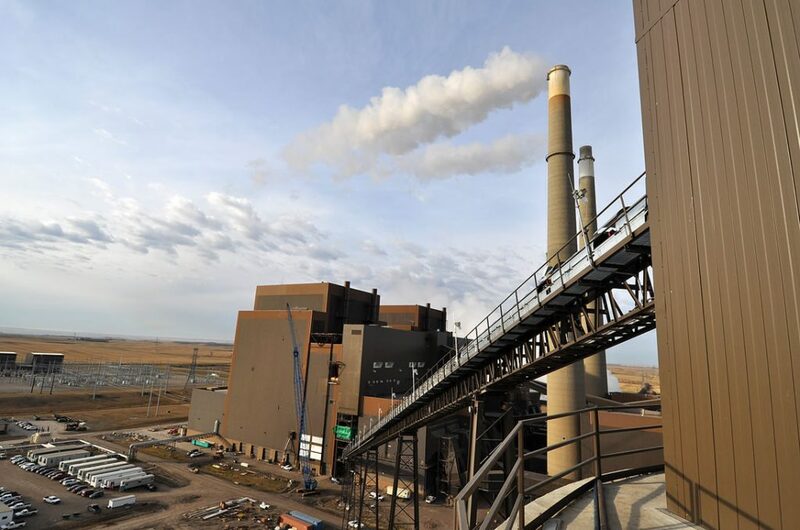 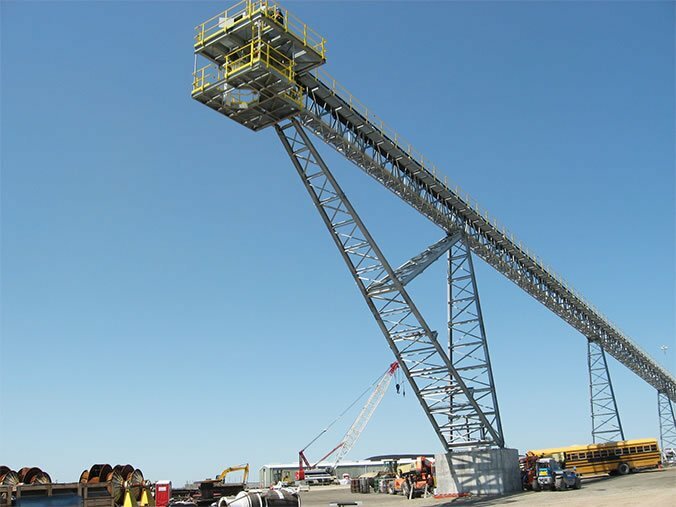 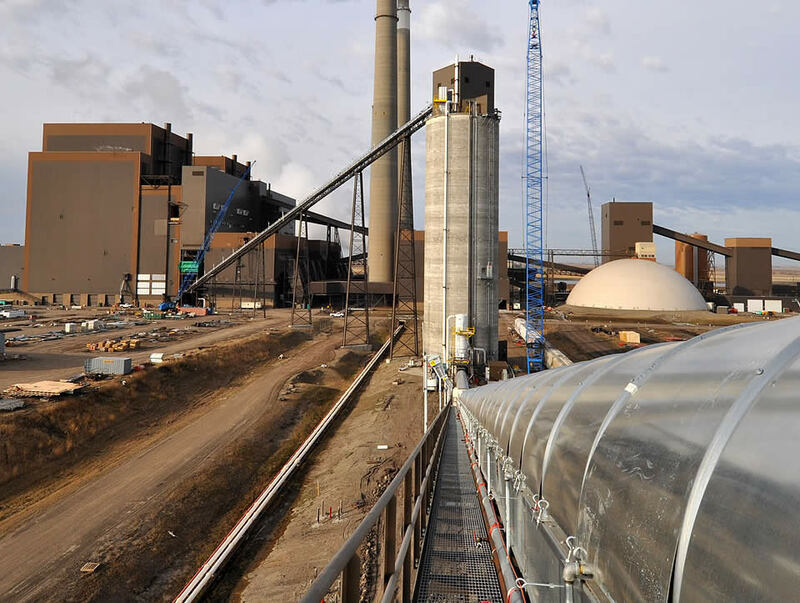 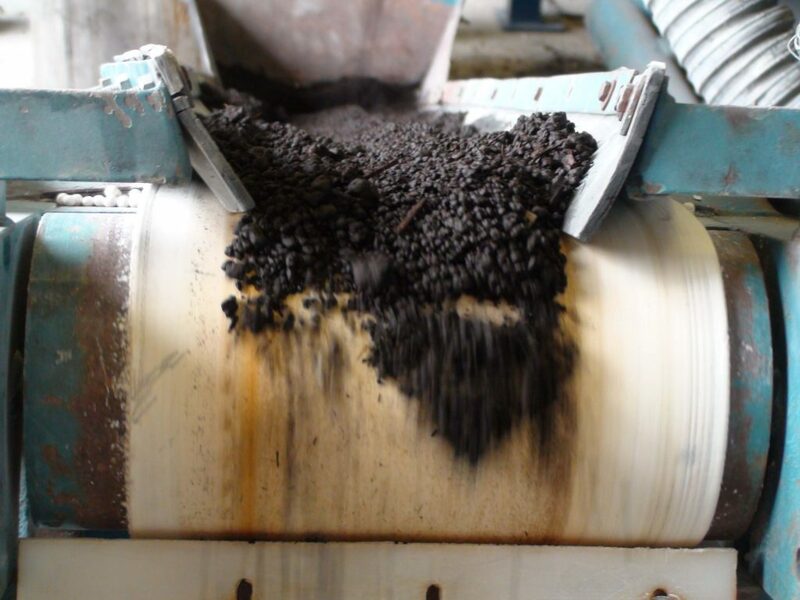 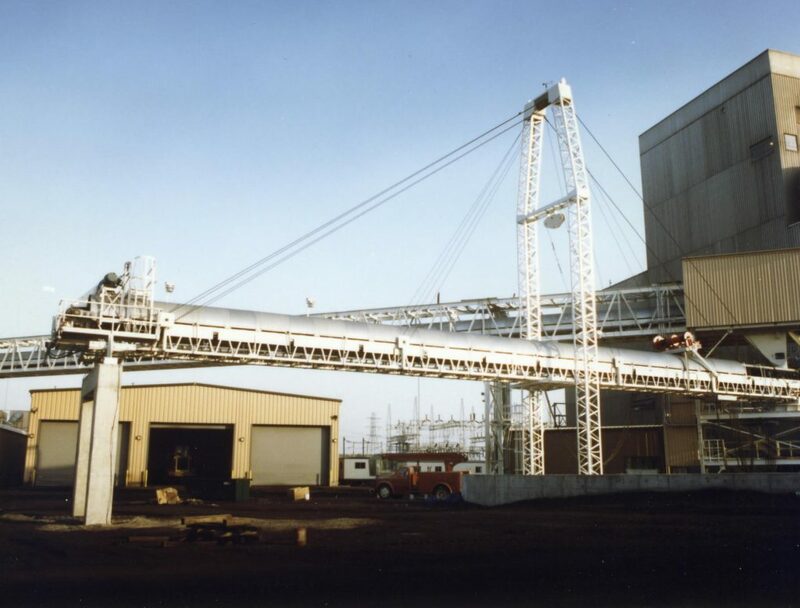 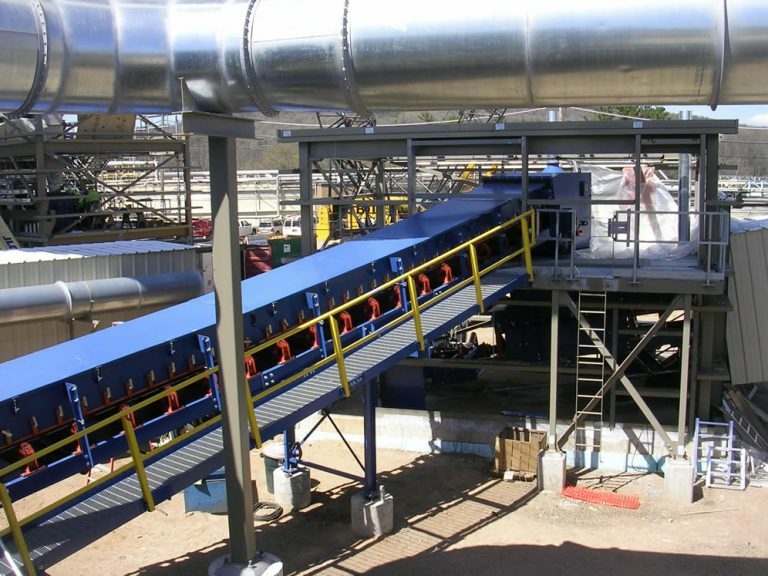 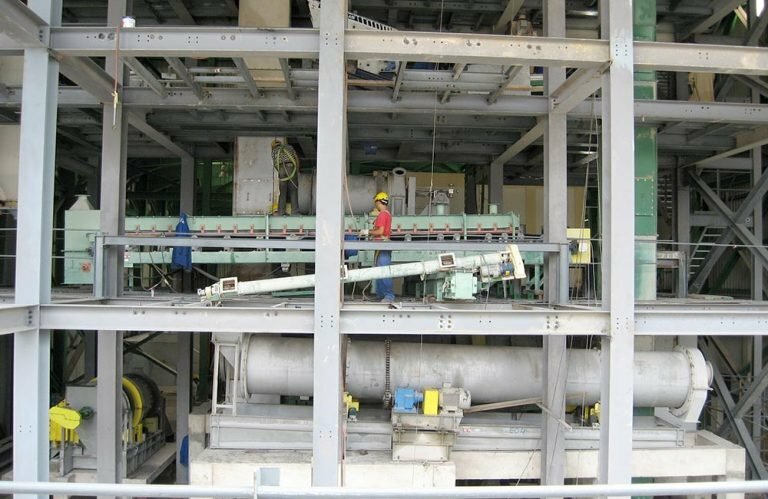 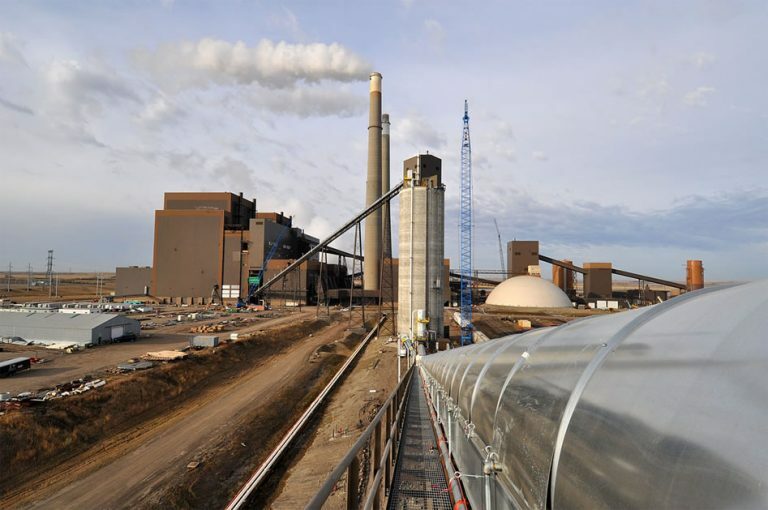 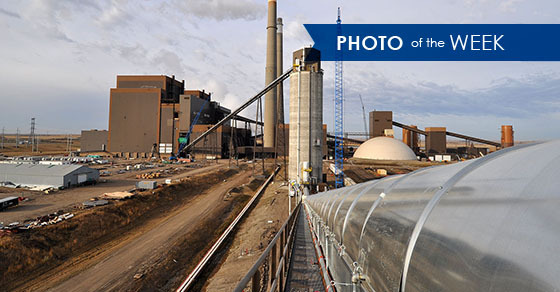 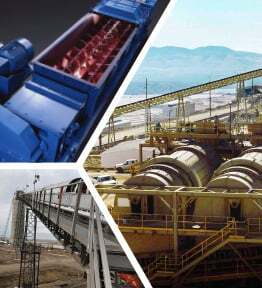 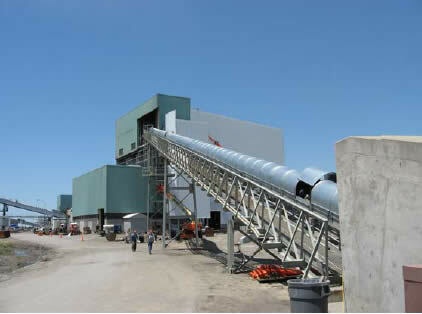 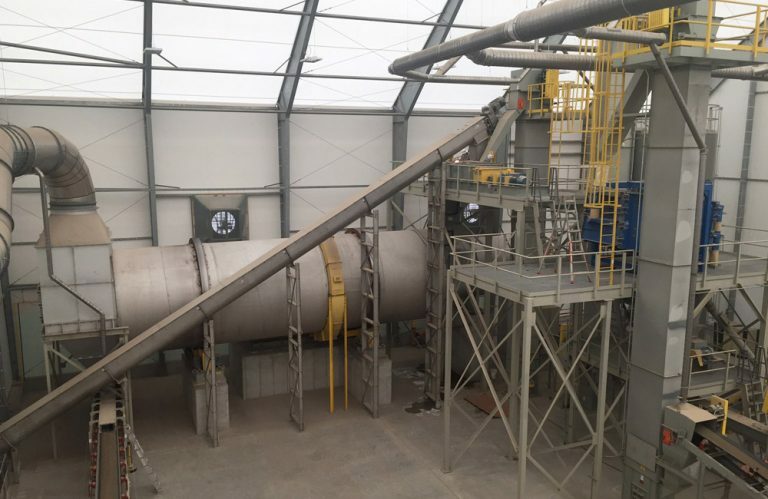 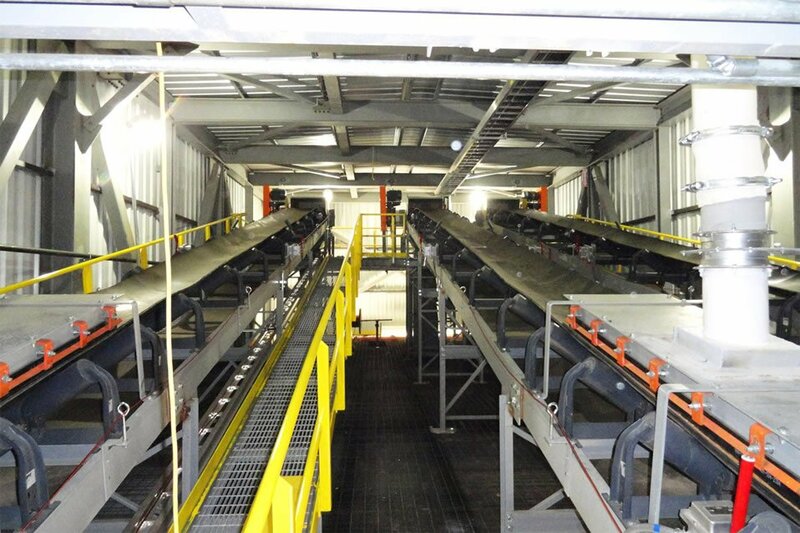 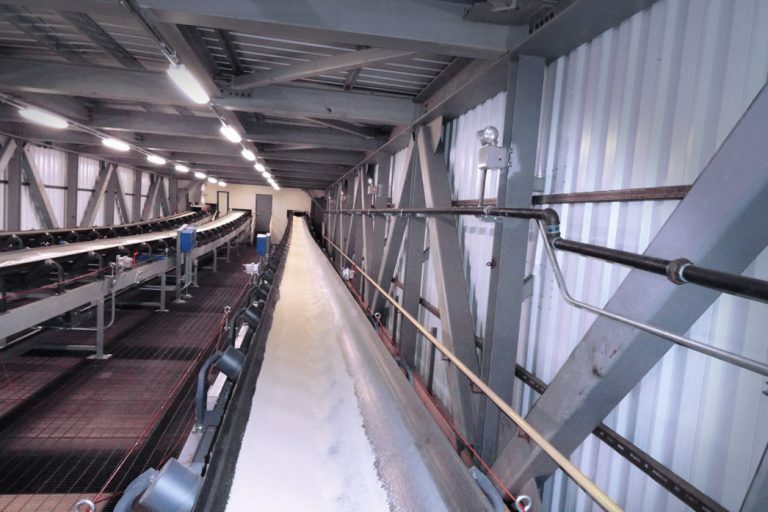 FEECO’s steep incline conveyors permit the transportation of bulk materials at inclines ranging from 18 degrees to 90 degrees, while still maintaining the feed and discharge properties of a standard belt conveyor. 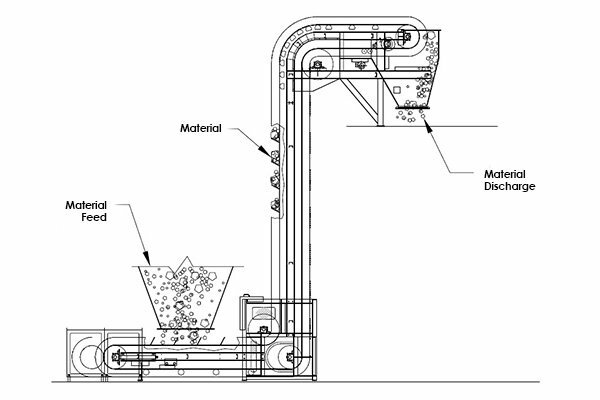 Reduced Material Degradation – Our “L” and “S” shape designs eliminate transfer points allowing for smooth, continuous conveying. 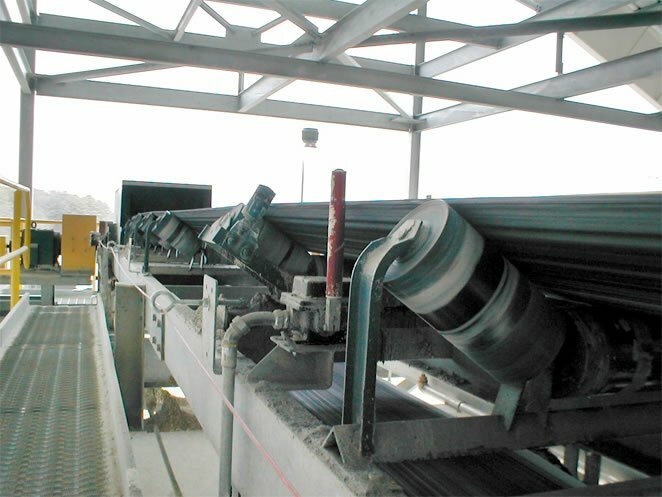 Reduced Spillage – Corrugated sidewalls contain the material reducing spillage. 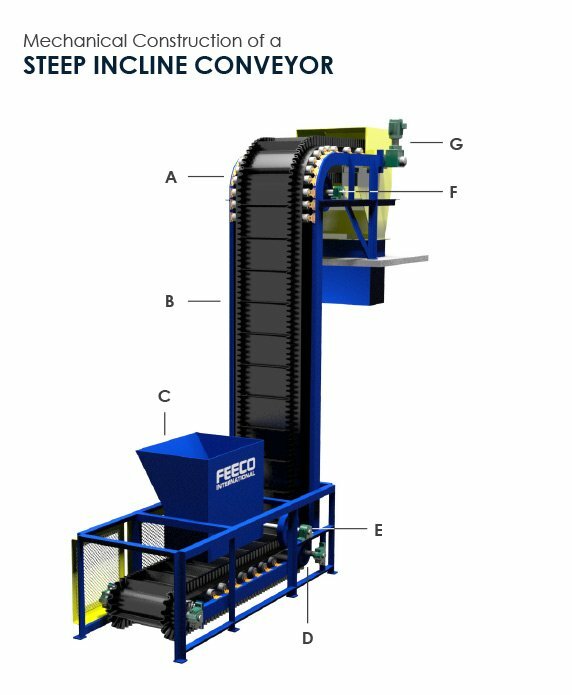 Less Space Requirements – Steeper geometric options of the steep incline conveyor reduce the length requirements to reach the desired elevation when compared to conventional conveyors, eliminating wasted space. 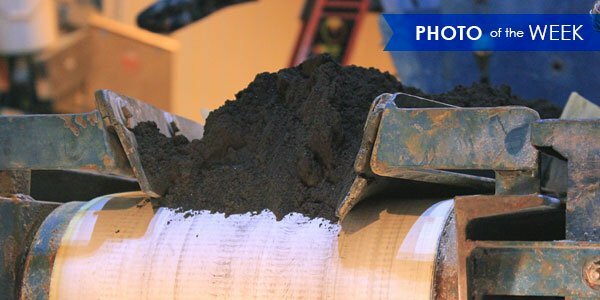 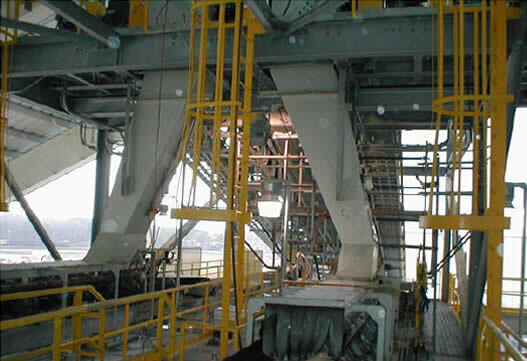 Longer Belt Life – Belt abrasion is reduced by the restricted movement of material. 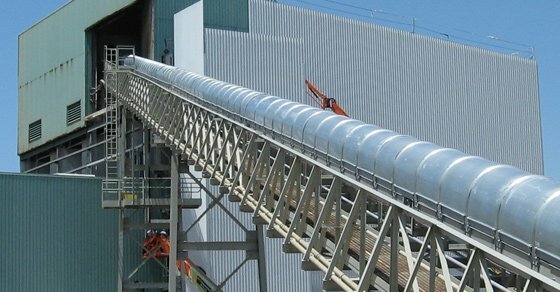 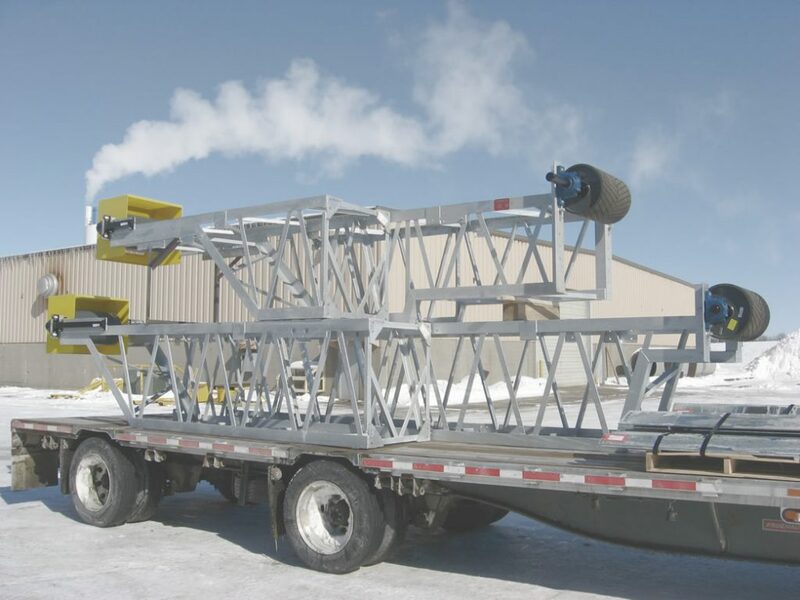 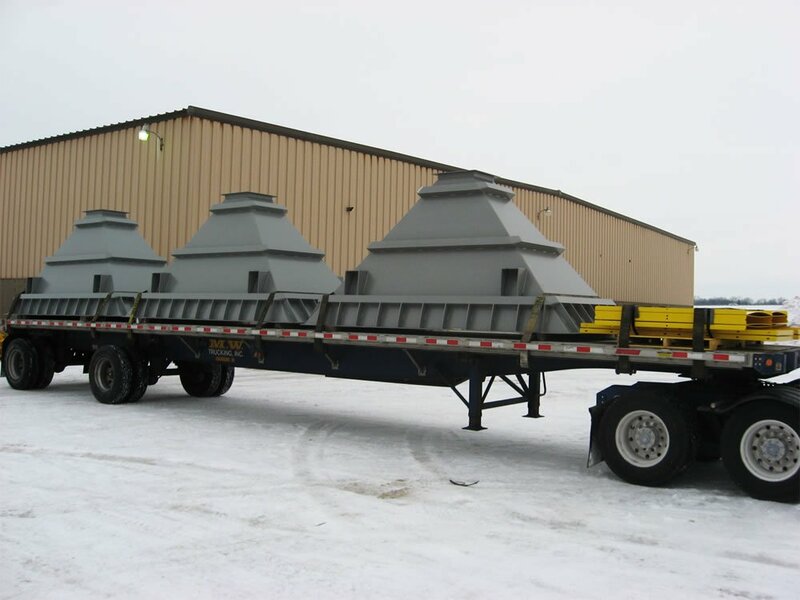 Custom Design – Our steep incline conveyors are specifically designed according to your requirements using the highest quality components available. 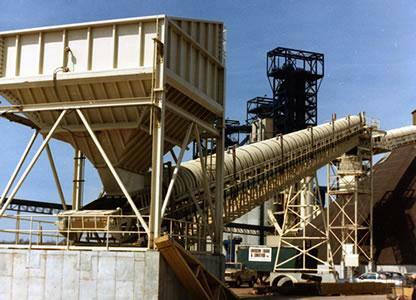 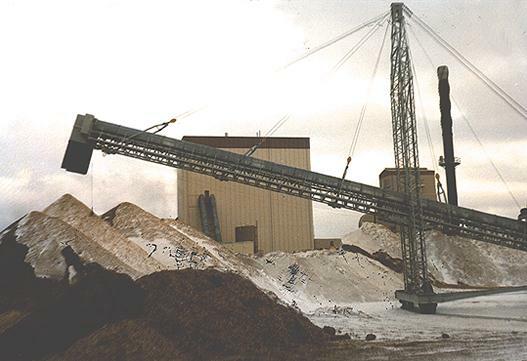 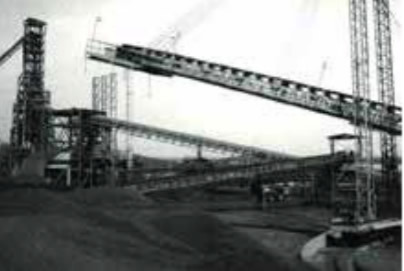 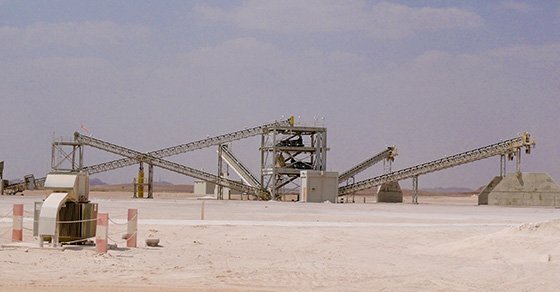 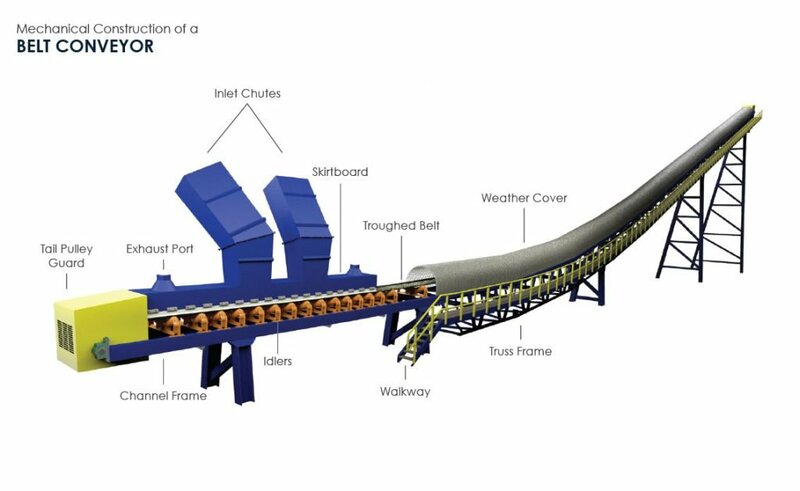 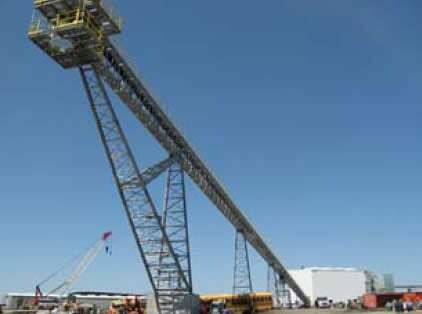 Flexible Belt Design – The steep incline conveyor uses a flexible corrugated sidewall belting which contains the material and permits loose material such as fertilizer, coal fines, chemicals, assembly parts, scrap materials, grain, sludge, and other bulk materials to be conveyed without spilling. 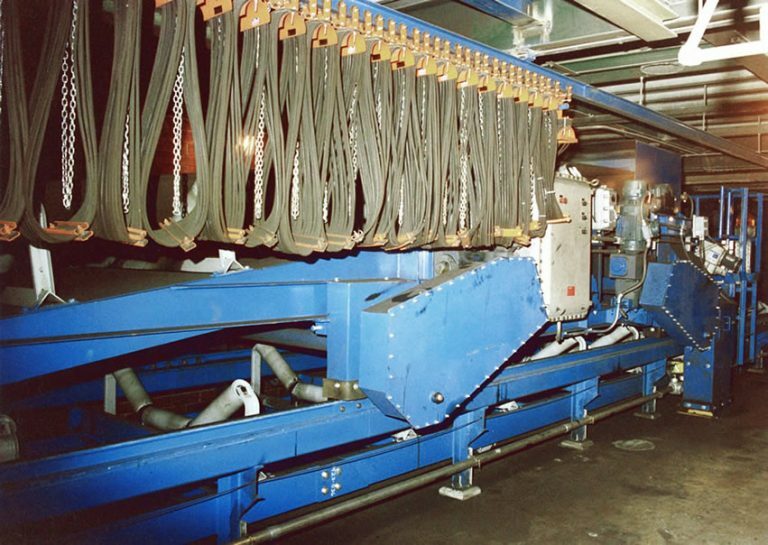 A cleated belt is also available, which prevents fall back of material when conveying at angles up to 90 degrees. 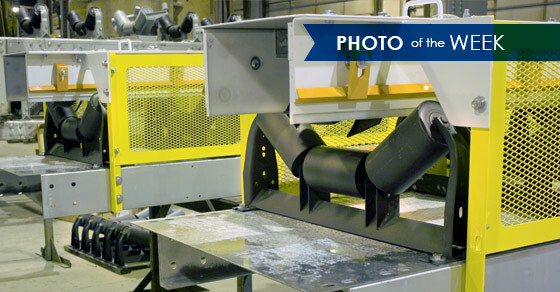 Improved Material Transfer– Loading points on our steep incline conveyors remain clean with custom designed inlet hoppers which maximize loading capacity for straight incline, horizontal, “L” and “S” shape configurations. 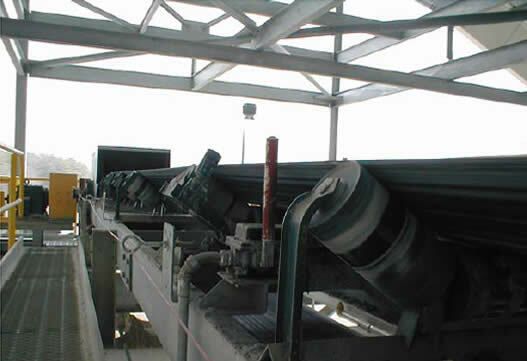 Turning wheel assemblies are incorporated to direct belting up the desired incline. 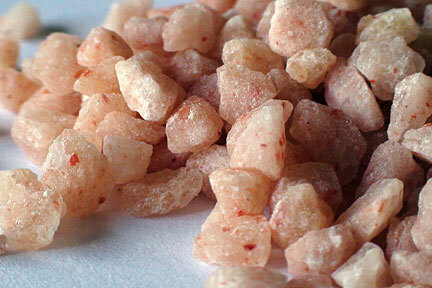 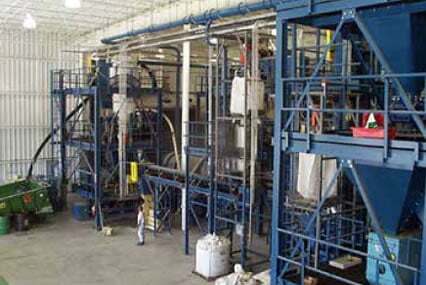 Due to this unique, all-in-one design, transfer points are eliminated, preventing product degradation and spillage. 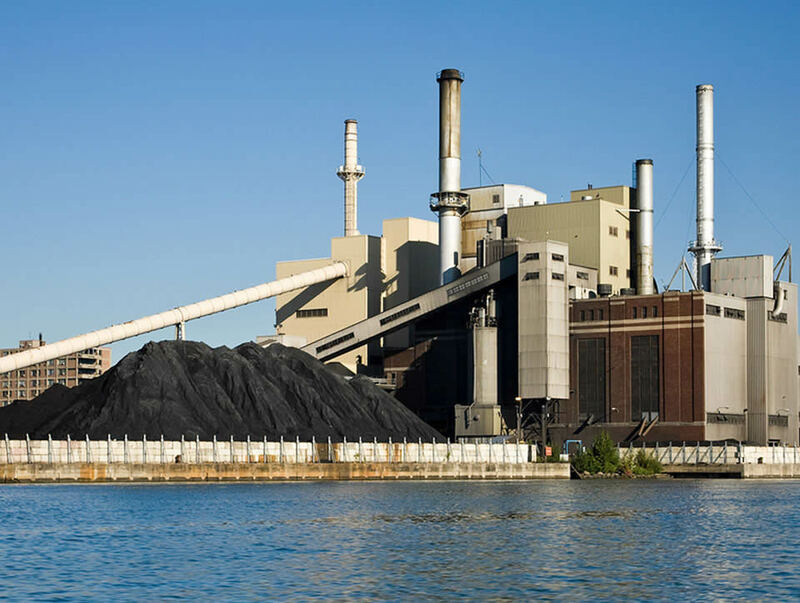 Fully enclosed systems are available to protect material and reduce dust. 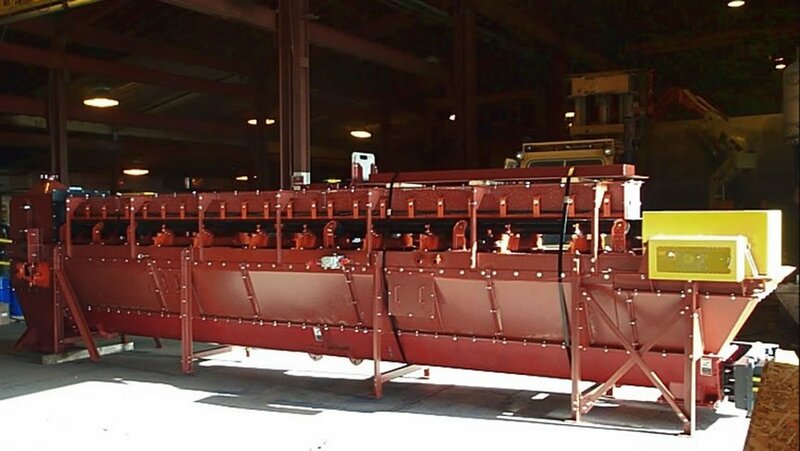 Drive Assembly: Head and tail sections come fully assembled with shop mounted pulleys and complete drive systems. 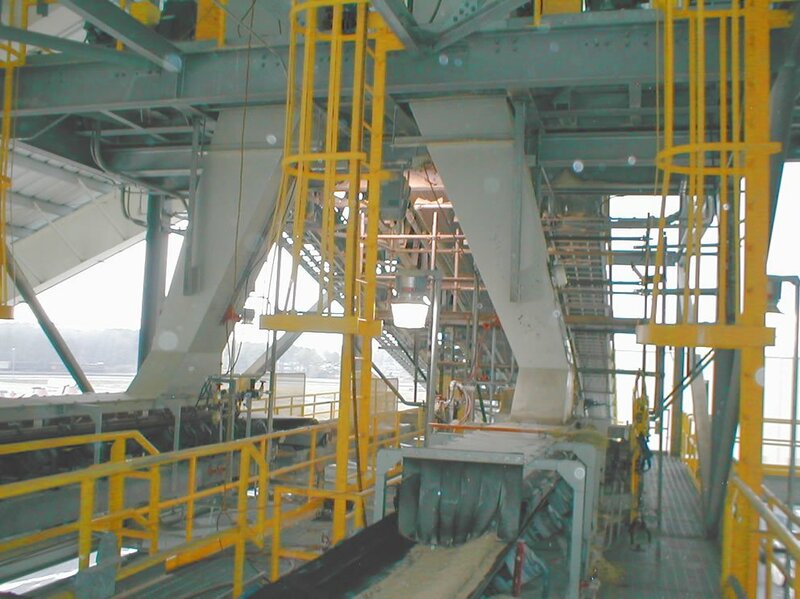 Back stops can either be mounted internally to the reducer, or externally on the conveyor head shaft. 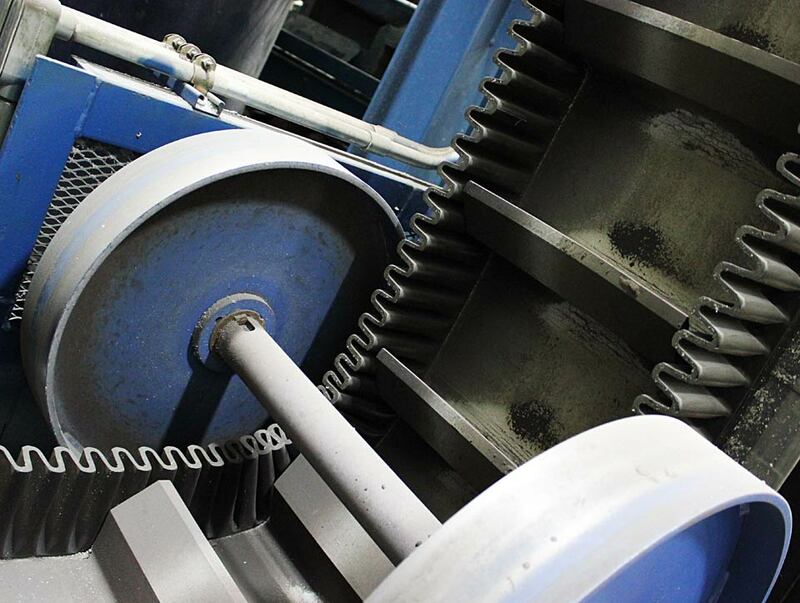 Various drive assemblies are available, including direct coupled gear reducers, shaft mounted reducers (with or without v-belt drives), and chain driven from gear box to head shaft. 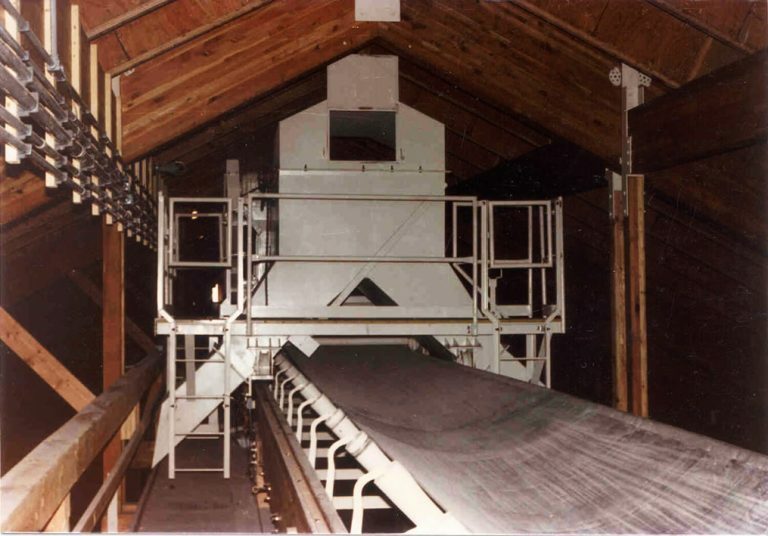 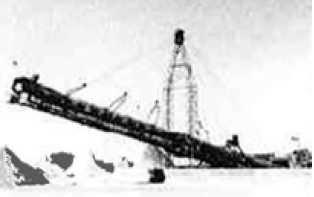 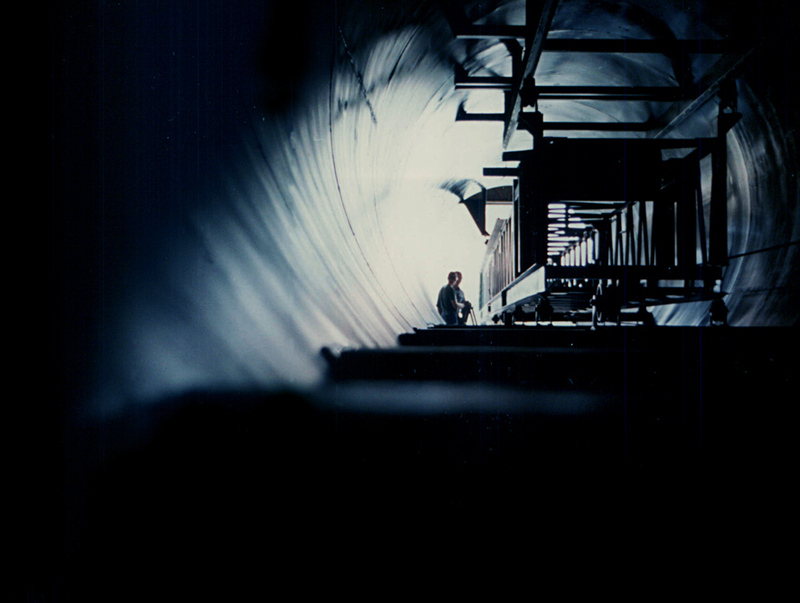 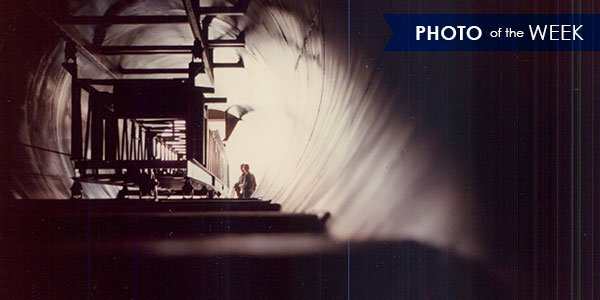 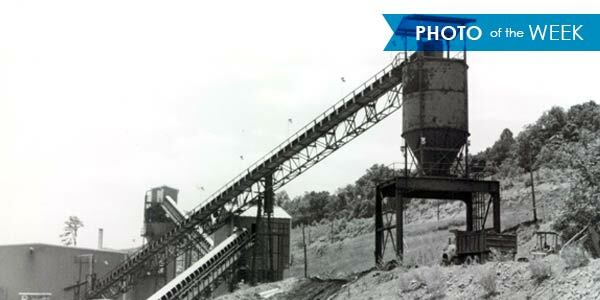 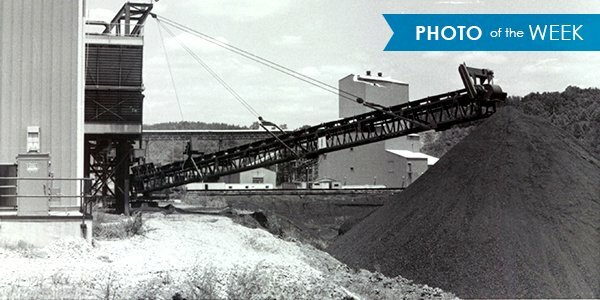 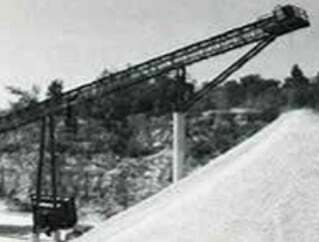 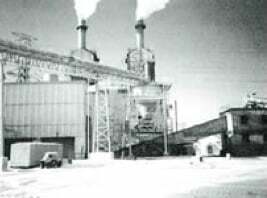 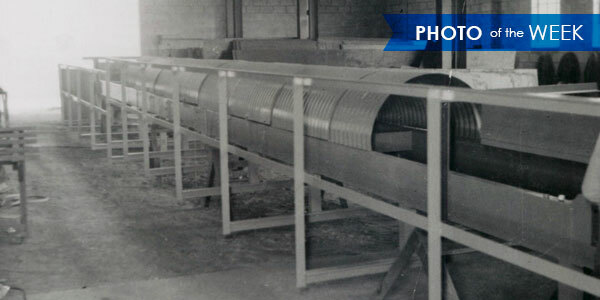 This conveyor photo was taken in the late 1960s. 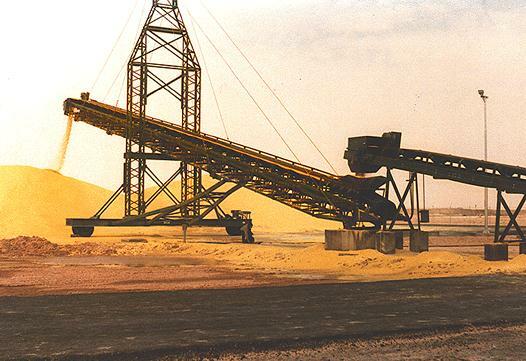 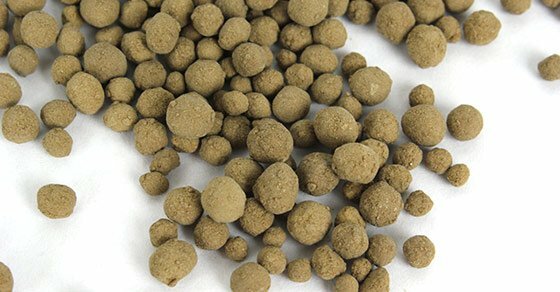 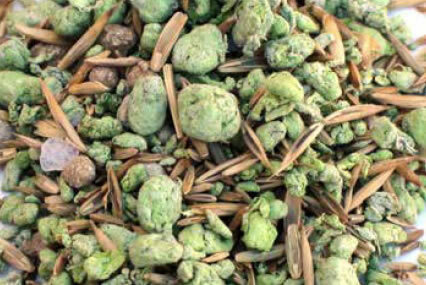 Heavy Duty Heap Leaching Equipment for gold ore, silver ore, copper ore, uranium ore, etc. 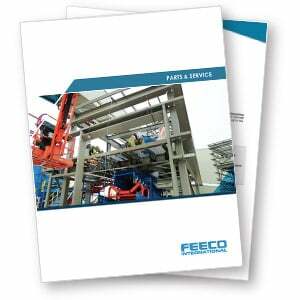 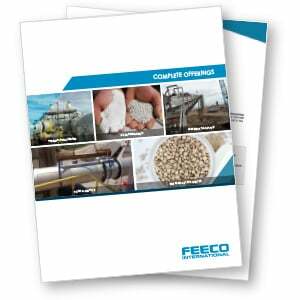 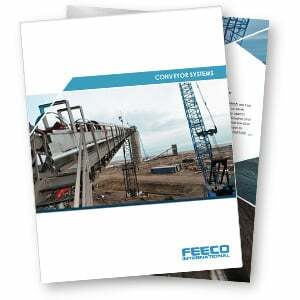 FEECO has been an expert in material handling for over 60 years. 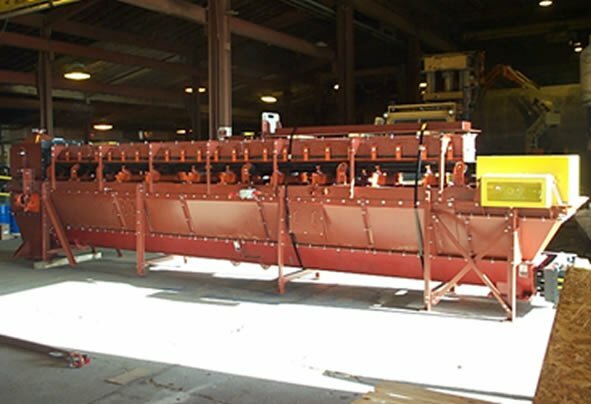 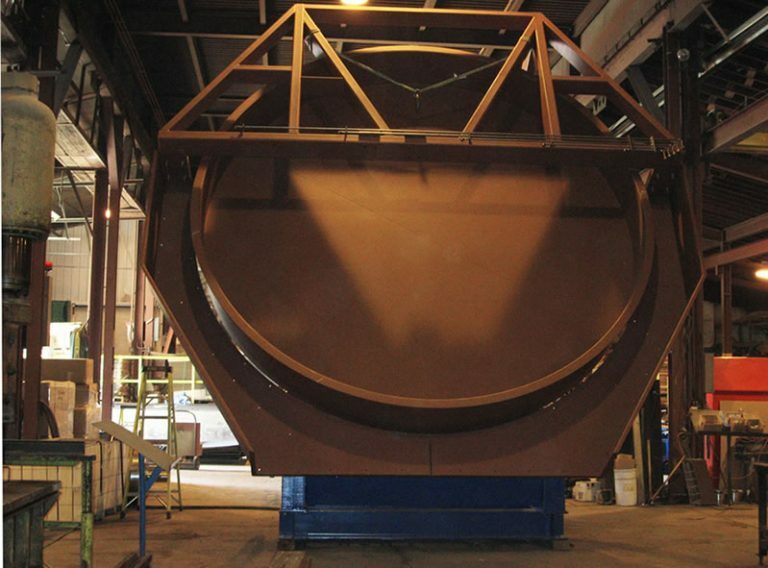 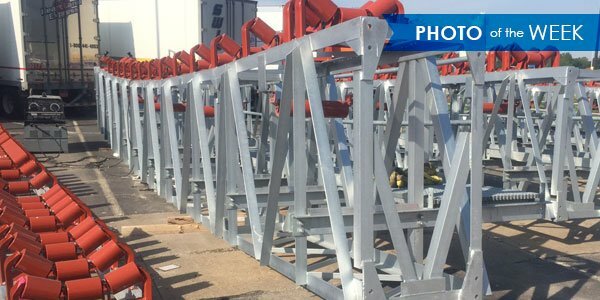 Our material handling equipment is highly engineered, heavy-duty, and built to suit your exact handling needs. 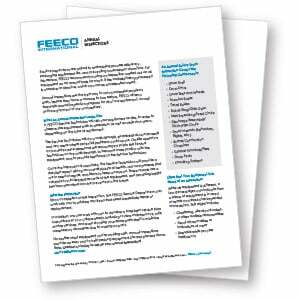 Whether you’re looking to transport a difficult material, or you need help determining which material handling equipment is right for the task at hand, FEECO can help.